When I first saw 'The Game of Thrones' I let the story wash over me. From being an English major, I know the only way to interpret or understand a story is to allow it to wash over you. In other words, does the story or characters in the story, choose you? As I watched the first episode of 'The Game of Thrones' I thought Arya would be the one who I would like the most. I thought Arya would be the one to choose me. In the first episode, only a character made me feel nothing or anger. 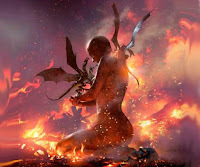 Daenerys Targaryen made me feel anger. The way her brother controlled her made me angry. Why didn't she fight back? If a man, brother or not, said or acted the way he did, I know I would fight back. Why didn't she fight back? Where was her strength? Her self-respect? When Daenarys first seduced Drago I took notice. When she ate the heart of the stallion, I knew what character had chosen me. At those moments she had gone from a sheltered Princess to acting completely savage. She had reached the bottom of civility and I loved her for it. At those moments she embraced darkest and lowest places within her heart. It was then Daenarys began as a Khaleesi and I began to fall in love with her character. It was then Deanery's Targaryen chose me. A Sophisticate is a Princess and she is a Queen. The difference between a Princess and a Queen is leadership. How does she go from being a Princess to being a Queen? She must become a Khaleesi. A Sophisticate is imperfect and is a times a sinner. She takes calculated risks and is passionate. Ambitious, she is by very nature a conqueror. She does not conquer other people, she conquers her fears and inner demons. "Some women are lost in the fire. Some women are built from it"
A Sophisticate fails (A Sophisticate is a Failure). Like a Phoenix (A Sophisticate is a Phoenix), figuratively and literally she rises from the ashes. When Daenery's went into the fire, she figuratively and literally burnt her past and failures away. She uses fire as a way to cleanse her life, fears, and failures. What was born were her dragons or her spirit animal, an animal that literally breathed the fire that was within her. A Sophisticate must meet her fears and inner demons to conquer them. How does she do that? She indulges in her vices, becomes a sinner, takes risks, and becomes bad (A Sophisticate Gone Bad) to become comfortable with the darkest and imperfect parts of herself. She becomes comfortable and sees the dark side of herself to learn how to overcome those fears. 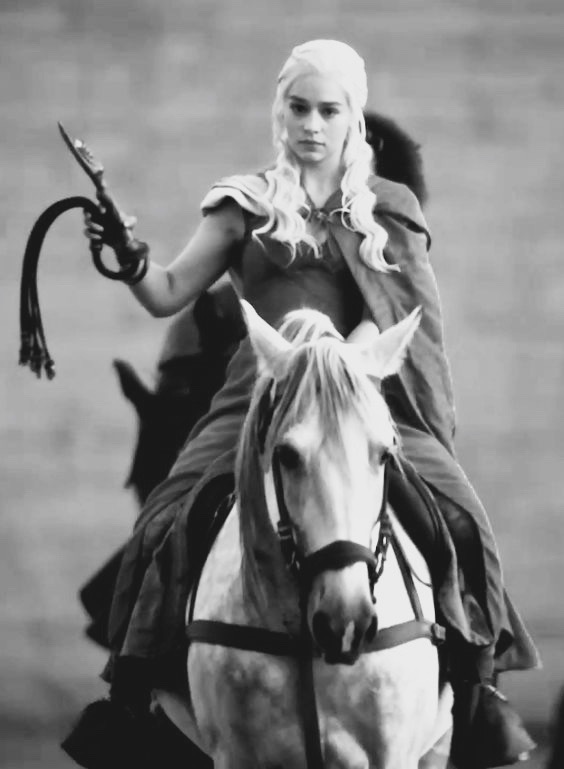 A Khaleesi takes off her dress, comes down from her throne, and gets on a horse. (A Sophisticate Goes Horsebackriding). 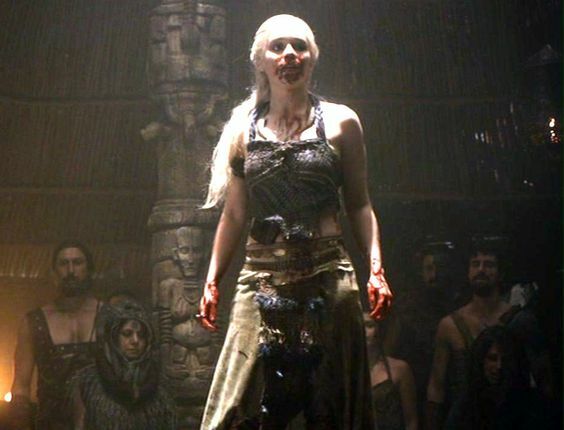 A Sophisticate becomes a Khaleesi when she removes the "pretty things" her finery, nice jewelry, any pretense, and becomes real with herself and others. A Khaleesi is a conquerer. In the 21st Century she does not conquer others, she conquers her own fears. When reality hits in her life she takes off the tiara of a Princess (A Sophisticate is a Princess), puts on her boots (A Sophisticate is a Cowgirl) and becomes a Khaleesi to ride the harshness of life.